We've had the CP+ trade show in Yokohama, and the major camera brands have been showing their new stuff. Here is a short summary of mirrorless camera news. 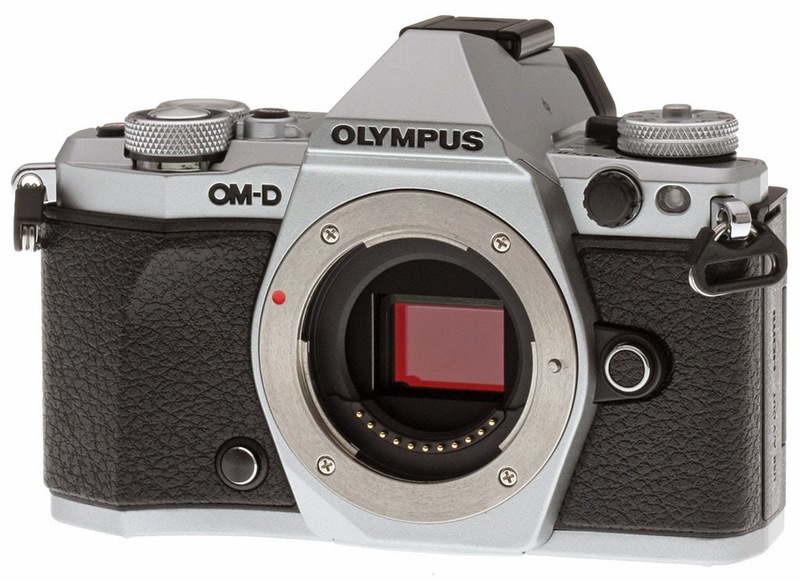 The big news from Olympus is the new OM-D E-M5 II. It looks a lot like the the predecessor, but has some improvements to the ergonomics, including a fully articulated touch LCD screen. The new feature which is going to sell the camera, though, is the new sensor shift high resolution mode. It works by taking eight consecutive images, while offsetting the sensor. First, four exposures offset by one pixel in the two directions, designed to overcome the limitations of the Bayer sensor. In the Bayer sensor layout, each pixel only records one single colour. The final picture is later interpolated from this limited colour information, to yield a full colour image, at the risk of inducing false colour artifacts. By taking four pictures offset by one pixel, each pixel gets the full Red/Green/Blue colour information, for better accuracy and less colour noise. Finally, the last four exposures are taken offset by half a pixel. This doubles the resolution in both directions, giving a total of 64MP. The JPEG output image is limited to 40MP, though, which is still a lot more than the stock 16MP images we are used to from Micro Four Thirds cameras. The downside is that the whole process of taking the eight pictures takes around one second, which means that you need to keep the camera mounted on a sturdy tripod. And you cannot photography moving objects. This feature is going to be very good for people interested in landscape photography, where a high resolution is crucial, and there is little subject movement anyway. And it avoids having M4/3 users migrating to the Sony a7R for the bump in resolution. One could ask why another fisheye is needed, as there is already one from Lumix 8mm f/3.5 fisheye (my review), and the real bargain Samyang 7.5mm f/3.5 fisheye (my review). 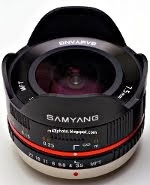 The Samyang lens is the best deal, in my opinion, as it is very compact and has a superior image quality. So why is Olympus producing a very bright fisheye lens? The fisheye lens is a niche lens in the first place, and making it an expensive large aperture variant makes it even tougher to sell. I'm guessing Olympus wants people to use this lens in an underwater house. Under water, the wider angle, the better. Also, a bright aperture makes sense, as you need as much light as possible. On top of that, there is the bragging rights of getting the brightest fisheye lens on the market, which always counts for something. 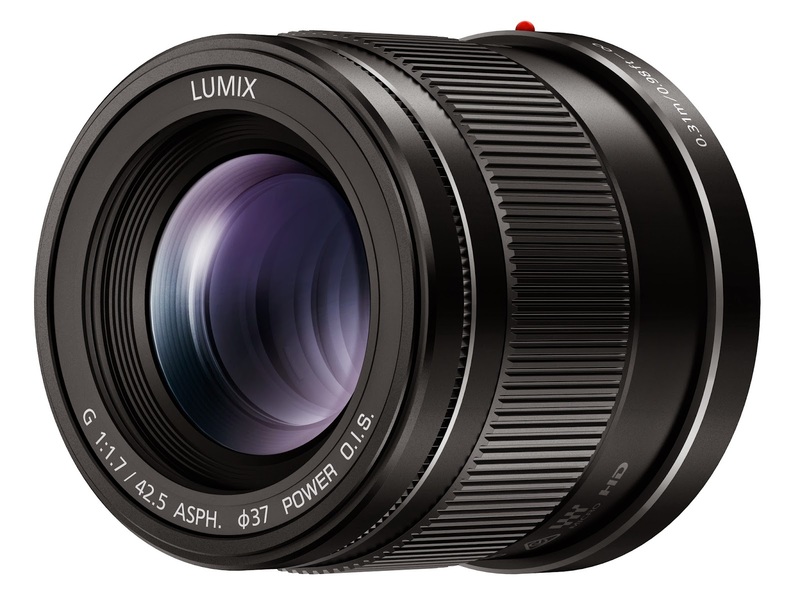 Somewhat surprisingly, Panasonic announced two new lenses after the CP+ trade show. One is the already known 30mm f/2.8 1:1 macro lens. The other is a never heard about before lens, a 42.5mm f/1.7 portrait lens. Both lenses will feature OIS. The lenses will be priced at US$400 and EUR400 each. This makes the portrait lens fairly good value, given that it has optical image stabilization built in. 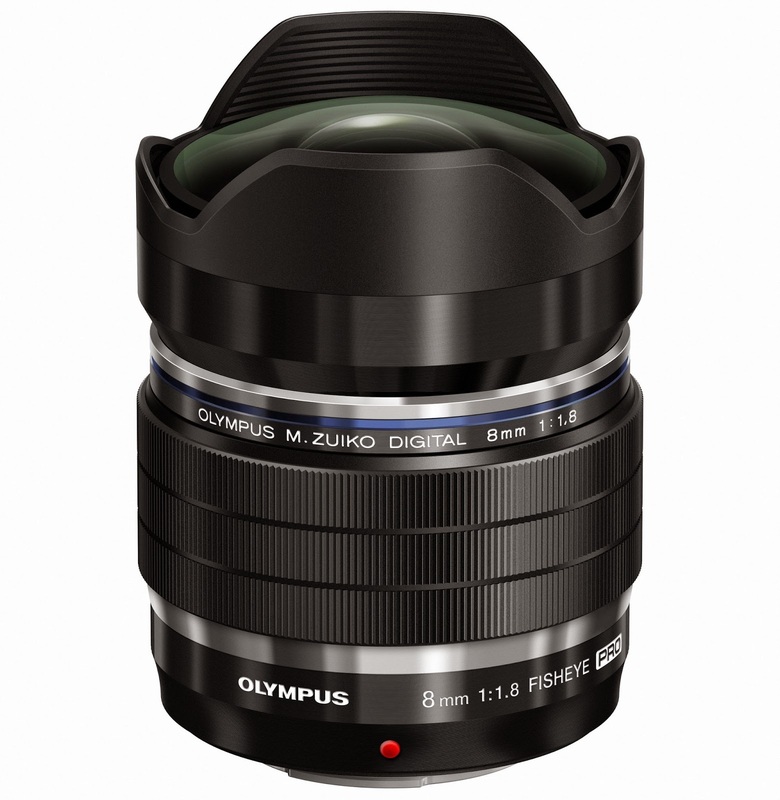 It will compete with the Olympus 45mm f/1.8 (my review), which is quite similar in appearance. 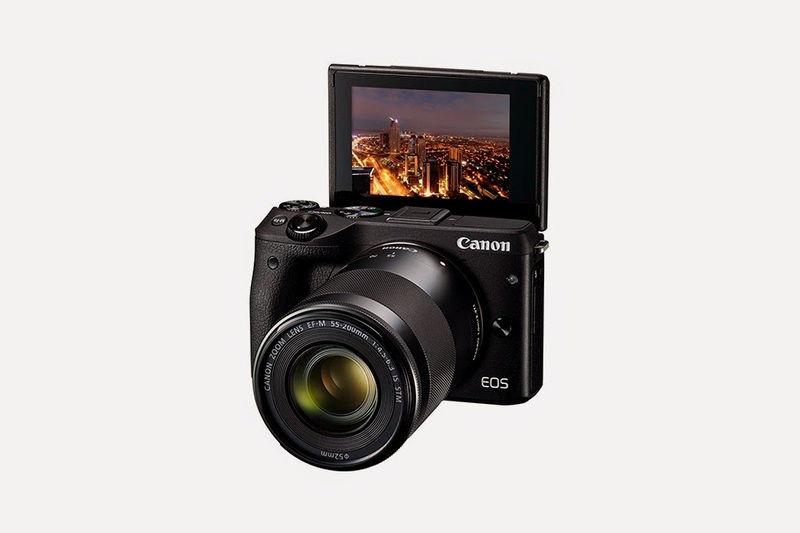 I was guessing that the new EOS M camera would get the 20MP sensor from the Canon EOS 70D, which is capable of PDAF focusing. However, Canon has designed a new 24MP sensor, which also has the on-sensor PDAF feature, a must for most mirrorless cameras these days. The camera is not going to be available in the US, showing that Canon still don't have full confidence in this line. Sony is rumoured to have a 50MP version of the Sony a7R coming, going to compete with the new Canon EOS 5DS which, incidentally, also has a 50MP resolution. In the mean time, we have seen Sony showing their new FE full frame lenses for the Sony a7, and guess what, they are all super huge. The list includes a 35mm f/1.4, 28mm f/2, 90mm f/2.8 macro, and 24-240mm f/3.5-6.3 superzoom, pretty much a classic lineup of lenses. The 35mm f/1.4 appears to be the premium prime lens for the format. It has a non-coupled aperture ring (electronically controlled). The aperture ring can be set to have click stops, or not, to satisfy both video and photo users. It is a very large lens. So even if the Sony full frame cameras are moderately sized, the lenses are not. 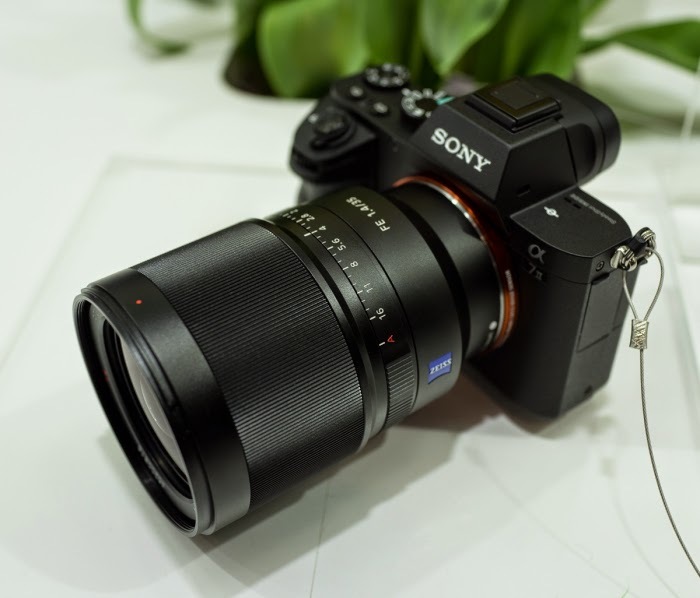 The smallest you can get is still the Sony FE 35mm f/2.8, which performs well, but is quite expensive at US$800. 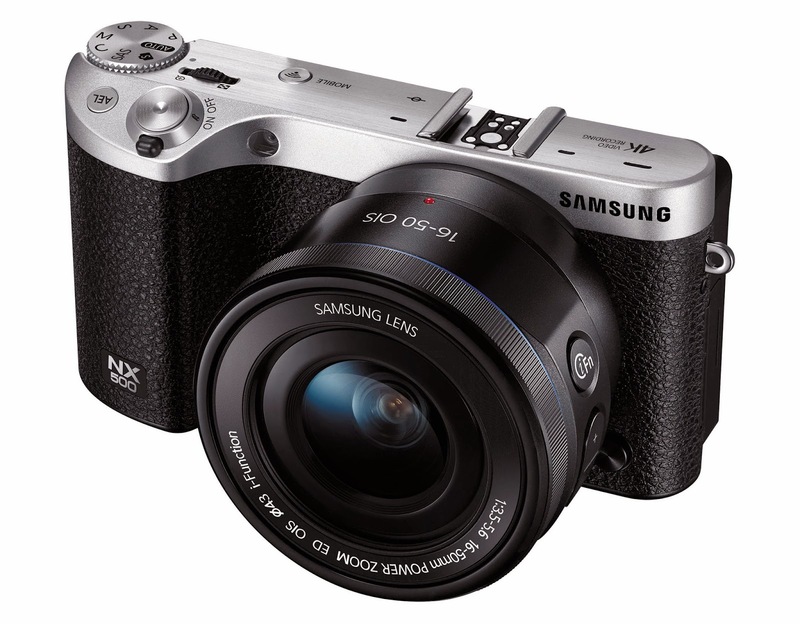 With the NX1, Samsung currently has the highest resolution APS-C sensor on the market, at 28MP. It also features 4k video recording, using the whole sensor area, without the crop factor found on the Lumix GH4. Sony is continuing to invest in their full frame mirrorless line, which is probably a good idea. The market is quite aware of the sensor size benefits now, and people are willing to spend more for a larger sensor size. As the lower end of the camera market is shrinking very fast, the manufacturers must aspire to create premium cameras to make a profit. Sony is doing so by being the only manufacturer to sell a full frame camera which is compact and reasonably priced. I don't see any news now which brings out completely new creative possibilities for mirrorless cameras, which is a bit sad. Nothing new from Panasonic to write about? I don't think so. Their big news was the Lumix GM5, which has been out some months already. They have a Lumix GF7 coming out for the lower end of the market. But it is hardly an interesting camera. Also, they expect to release a 30mm f/2.8 1:1 macro lens. It also is for the lower end of the market, and is hardly a very interesting lens. I wonder how the electronic shutter sensor read time will compare to the GH4 and whether it will give full 12 bit files like the GX-7? The E-M5 II high resolution mode is only intended to be used for non-moving subjects, so the readout time doesn't matter. Since it can take the eight exposures during about 8 seconds, I figure the readout time must be at least 1/10s, but probably faster. You don't get the reduced bit-output in the mechanical shutter mode with the GH4, only the electronic shutter mode. Mostly, I think this is not an issue. At least not if you get the exposure quite correct. The GM5 will probably not have any improvement over the previous models in terms of electronic shutter readout speed. I didn't refer to the high res mode. I'm interested in the Electronic Shutter mode for STILLS shooting. I have experienced slightly mis colored images due to one channel clipping, and feel that if the Olympus uses full 12bit readout, with decent speed then this will be my new fav silent camera. Yes I could apply neg exposure compensation with the Gh4 is rather not bring up extra noise in post boosting the images to obtain decent exposure. I doubt that the sensor read out speed is going to be anywhere near fast still. The GH4 achieves 1/30s, and is the fastest M4/3 that I am aware of so far, and this is still quite slow. I think the best we can wish for is 1/30s, which still limits the use of the electronic shutter to images with only moderate movement. I'm sorry if that came across a bit harsh, I do appreciate your prior research in the sensor readout speed. If it can match the Gh4 in this aspect I'd be happy enough. I've actually shot Ballet dancers successfully with the Gh4 in electronic shutter mode.